Confidential to the fifth floor. Available from 15:30 on the day of arrival and must be delivered by 11:00 am the day of departure. The reservation and the balance and the deposit to be paid through the site. The tourist tax and additional costs to be paid upon delivery of the keys on the day of arrival. 2-possibility of parking space to be agreed. A full bathroom with shower, hairdryer. Nous avons été parfaitement accueilli par Daniela merci à elle. L'appartement correspondait aux informations sur Abritel. Grazie Giulia. Siamo contenti di aver dato la possibilità di trascorrere una gradevole vacanza. Speriamo di rivederci anche la prossima estate. Great for a real relaxation. Intimate and private. For two people. 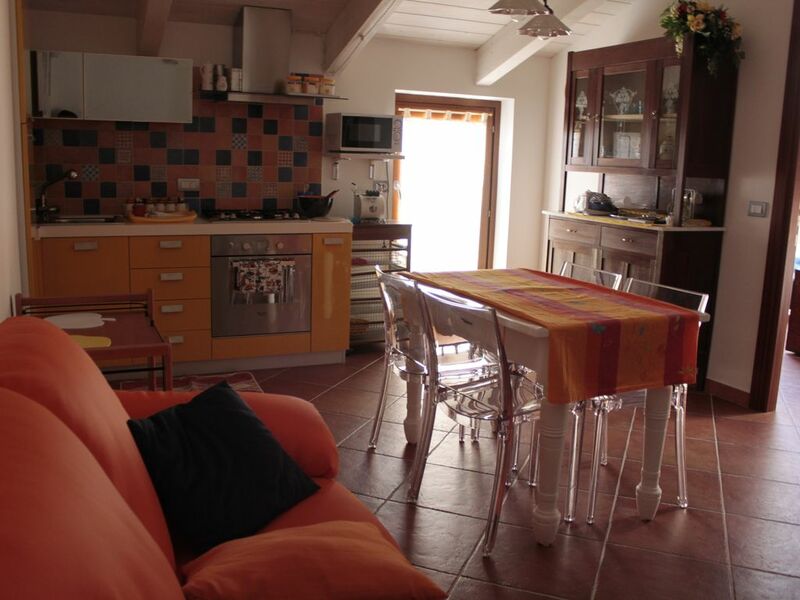 At the center of the City, attic apartment on the 5th floor with elevator and air conditioning. A few minutes from the historic center, bicycle trails, from the marina where boats leave for the caves of Neptune and the excursions with lunch on board and organized fishing. The 'Train the Catalan' which takes you around the lookout night, 'Trottolo' the panoramic tour, with his wonderful tour takes you to see the beauty of the beaches and landscape of the Coral Coast, to the promontory of Capo Caccia. Inclusi: biancheria e asciugamani una sola volta. Non inclusi: 2,5 euro al giorno per aria condizionata; pulizie finali € 0. Per prenotare l’appartamento sono richiesti i dati personali. L'impegno di affitto richiesto è pari al acosto di una notte di affitto concordato, da versare sul conto corrente con bonifico SEPA, o altro metodo legale concordato.